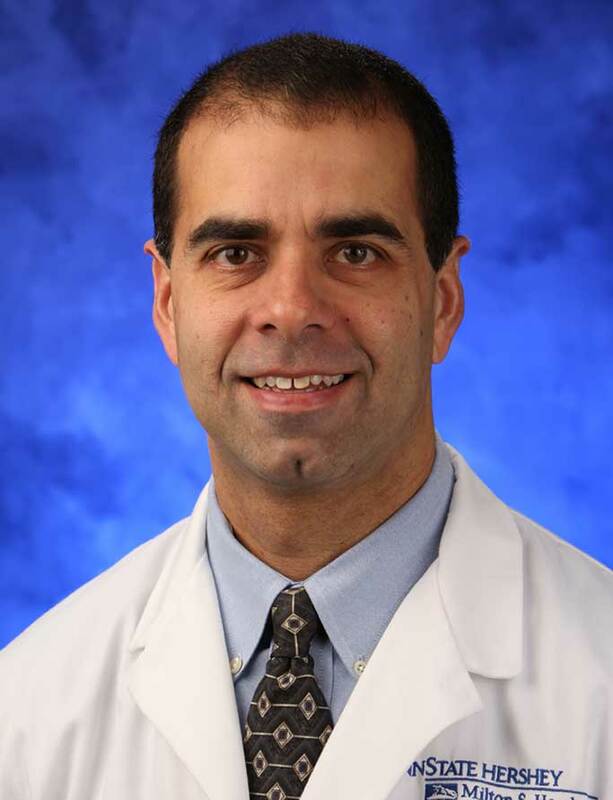 Erich Batra, M.D., grew up in Northern Virginia (suburbs of Washington, DC) and attended the University of Virginia in Charlottesville for both undergraduate and medical school training. He completed residency training in Phoenix, AZ in internal medicine and pediatrics and then moved back East, where he joined the faculty of the Family and Community Medicine Residency Program. After eight years with the residency, he joined a private practice in Lebanon for seven years. In January of 2014, Dr. Batra joined the Penn State Medical Group Palmyra office. In addition to seeing patients, Dr. Batra precepts at Fishburn Road and rounds on the family medicine inpatient service. For the last ten years, Dr. Batra has been involved with childhood injury prevention in conjunction with the PA Chapter of the American Academy of Pediatrics. Infant safe sleep and youth suicide prevention have been two areas of focus. Dr. Batra is board certified in internal medicine and pediatrics.